Collagen is a very important component in your body. It is a protein and works as an adhesive, holding skin, ligaments, tendons, bones, and muscles together as it cushions them. Collagen can also be found in your teeth, eyes (corneas), and blood vessels. It has been called the body’s“glue,” as it helps hold many parts of your body together. It is central to how the body is shaped and how parts of the body work together for the common good. Collagen helps every part of your body stay strong and supple, including your skin. Collagen gives skin it’s elasticity as it provides firmness and smoothness to your skin. Making the most of your collagen resources can keep away fine lines and wrinkles, allowing skin to remain supple, providing a youthful appearance. However, as your body ages, less collagen is produced and, often, it can be of lower quality than during younger years. When you can increase the amount of collagen your body produces, it helps to enhance the texture, quality, look, and appearance of your skin. The INFINI™ 3D Skin Tightening combines the power of microneedling with radiofrequency to stimulate collagen and elastic production. This in turn results in a tightening and smoothing effect in the skin. The INFINI 3D helps to lift and firm the skin from the dermis layer, without causing any damage to your epidermis. 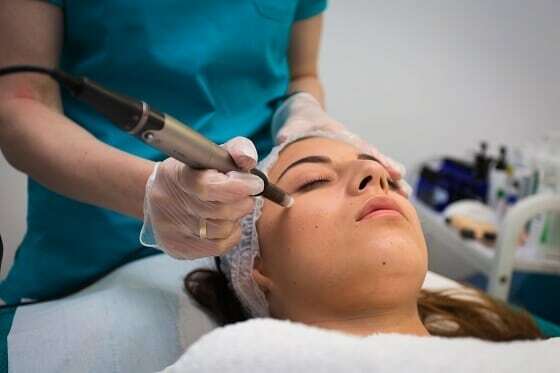 Dermapen uses a handheld device to deliver thousands of minute, micro punctures to the skin at a vertical angle. These tiny punctures stimulate the skin to grow more collagen and send it to heal the micro areas. It is a methodology to “trick” your body into making more of the substance than it normally makes. The end result is fresh and rejuvenated skin. The Sublime™ Radio Frequency Skin Tightening boasts positive results and is a very effective non-invasive therapy. It can visibly firm and tone your skin, allowing for a smoother and more youthful appearance. Everyone’s skin loses elasticity during the ageing process and the production of collagen slows down as well. The energy driven by the radio frequency process helps stimulate the production of new collagen, which, in turn, will provide more lift and a smoother, even tone to your skin. Collagen nourishes your skin and can help it stay looking younger longer. As you age, often your body can use a little help re-establishing collagen levels to a arrive at a more youthful level.